Most of us get a feeling of impending doom as winter approaches – those colds and bouts of flu seem inevitable! Following are quick tips to help you cope. Stay in bed for a few days. You will recover a lot sooner. Listen to your body, and rest a while. Your immune system is exhausted, too tired to fight the foreign invaders, because of your hectic lifestyle. So take a break and relax. Don’t exercise while you’re sick or during the recovery phase – it might strain your heart and lungs. Your body is fighting a viral war, so help it! Drink lots of fluids – filtered water, fresh fruit and vegetable juice or soup, with some chicken broth for tender love and nourishment! Put some eucalyptus or peppermint oil in boiling water in a bowl, drape a towel over your head and inhale the steam. This will loosen the phlegm and hydrate the mucosal lining of the airways, while disinfecting them at the same time. Other aromatherapy oils to try are lavender, grapefruit, rosemary and tea tree oil (put a few drops in a burner or in the bath, or use in a carrier oil for a soothing back and shoulder massage). Increase your intake of vitamin A to 10 000 IU a day and vitamin C to 1 000 – 2 000 mg a day in divided doses. Once you are feeling better, return to the normal maintenance level of your antioxidant combination. Herbs like garlic, echinacea and golden seal are natural ‘antibiotics’, active against viruses, bacteria and even fungi. They are also decongestants that dry the mucosal linings in a gentle way. They do not have side-effects. They actually support the immune system. 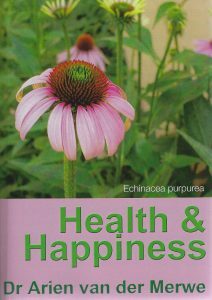 Double-blind placebo-controlled studies suggest that Echinacea purpurea not only shortens the duration of colds and flu while also making them less severe, it also actually stops a cold that is just starting. Other herbs used in the natural treatment of colds and flu are astragalus, lime blossom, sage, elder flower, thyme and liquorice root. Most of these herbs reduce mucus, help the mucosal lining to recover more quickly after infection, and are also effective against viruses, bacteria, fungi and parasites. Most of them also strengthen the immune system. Garlic and mustard both have a high content of the amino acid N-acetylcysteine, which makes them very effective in reducing mucus in colds and flu. Turmeric contains curcumin, which has a strong antiviral and anti-inflammatory effect. Wild cherry bark is often used to treat an irritating, persistent cough that keeps you awake at night. It’s also good for people who suffer from chronic bronchitis, and for whooping cough. Pineapple extract (containing the enzyme bromelain) is a potent anti-inflammatory with mucolytic (to break down mucus) and antibacterial properties. It also improves the efficacy of prescription antibiotics and reduces infection of the sinuses and bronchial tubes. Quercetin, one of the bioflavonoids, accelerates the recovery of the mucosa after infection. It also has anti-inflammatory, antihistamine, decongestant and antiviral effects. Ginkgo biloba will help for winter hands and feet. Feverfew (Chrysanthemum parthenium) has been used for thousands of years as a fever-reducing substance and painkiller. It is also helpful for migraine and muscle spasm. People who are taking anticoagulants such as warfarin and aspirin should be careful when using feverfew and come off it gradually to avoid rebound blood clotting. Try zinc lozenges to soothe a sore throat and zinc nasal spray for a runny nose. Make tea with fresh or dried sage leaves simmered in boiling water, with a teaspoon of honey, for a sore throat. You can also gargle with sage tea. Take additional calcium in an amino acid chelation while you’re sick. Calcium helps blood vessels to dilate, thereby preventing the cold extremities associated with colds and flu. It also relieves allergy symptoms. If you take antibiotics for every respiratory tract infection or problem that comes along, you will soon end up with a vicious circle of lowered resistance and re-infection. Upper respiratory tract infections are often a sign that you’re overdoing things. Don’t insist on antibiotics and antihistamines. Rather take a few days’ leave and give your body a chance to recover. Keep the antibiotics for serious, persistent and life-threatening bacterial infections, and they will be much more effective. Remember that 95% of upper respiratory tract infections are caused by viruses (against which traditional antibiotics are ineffective). Only 2 – 5% of colds develop into secondary bacterial infections. Don’t take antibiotics too soon. Even very severe bacterial infections can be cured without antibiotics by using an immune-boosting supplement and medicinal herbs. Antibiotic abuse has become a very serious problem, leading to increasing resistance in disease-causing bacteria that may render antibiotics ineffective for certain life-threatening conditions in immune-compromised patients (people with AIDS, those who have had surgery, organ transplant patients, patients on chemo- or radiotherapy). Your abuse of antibiotics can potentially affect the whole community! These guidelines should not be seen as an attempt to replace medical advice. If natural remedies and supplements do not improve the condition within three days, if you are worried about anything, if the condition gets worse, if the temperature remains high, if there’s neck stiffness or serious headache, or if sinusitis, bronchitis or pneumonia develops, consult your doctor at once. An acute attack of asthma, croup and pneumonia (infection of the lungs) are perfect examples of diseases where Western medicine and technology can be utilised to best advantage to save lives. Mix together a pinch of ginger, cinnamon, mustard, cayenne pepper (optional) and turmeric with a fresh clove of garlic (optional), a little lemon juice and hot water – it makes a delightful spicy drink. (You might even add a tot of brandy!) Add a pinch of sage, mustard and thyme if the mucus is yellow or green. Drink it regularly until you feel better. 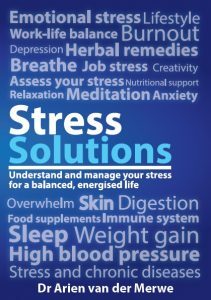 Recipe from Health & Happiness written by Dr Arien van der Merwe, also available as an E-book. 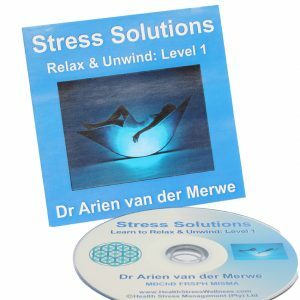 DR ARIEN VAN DER MERWE is a medical doctor, author and specialist health and wellbeing and integrative medicine consultant.